Every now and then a studio emerges into the spotlight promising to deliver a “revolutionary co-op experience”. As gamers, we’ve heard this story way too many times, both in a truthful or disastrous way. It doesn’t bring me pleasure to say this, but I found that Joggernauts is one of the latter, one where most of its core problems could be resolved by the correct platform choice. 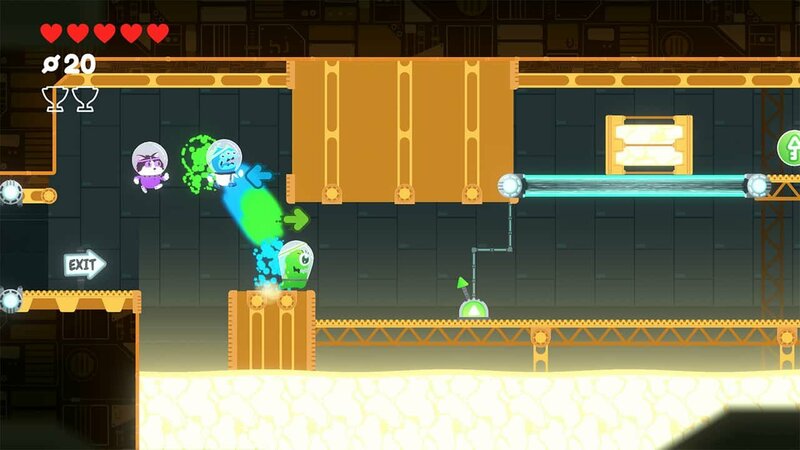 To begin with its premise, Joggernauts is all about pairing up with a buddy and collecting items while avoiding enemies through a simple “colour switch mechanic”, meaning that to kill a blue enemy, you simply have to switch to the blue character. Before I first played, that mechanic sounded fun; I could see myself enjoying the frantic switching and collect-a-thon mechanic, especially with friends—but when I finally got around to it, it quickly became depressing. It’s in the implementation of this mechanic where Joggernauts’ first problems arise—it’s simply not fun to play. While I assumed that it would be fun to yell and get yelled at by my friends whenever we made a lousy mistake, Joggernauts never truly rewards the player for their patience, leading to deaths becoming a “whatever” deal more than anything. This isn’t helped by the fact that every level tends to look and feel exactly like the last, leading to a monotonous game that just doesn’t feel right for a 2018 console release. The controls also feel extremely sluggish. Some of my jumps or colour switches didn’t register, leading to deaths that were ultimately not my fault. This would be something I would have been able to deal with had it only happened once or twice, but unfortunately throughout my play-through, it happened extremely often, so much so that I sometimes found myself asking if it was a purposeful implementation. Joggernauts also manages to implement trophy hunting in a way that is not very rewarding. Like most platform style games, it hides trophies in unusual paths, but due to the fact that Joggernauts is a linear game, trophies were always easy to spot, the only challenge being the controls failing me when I asked my characters to make that one jump that could lead me into the trophy path. This, bundled with the lack of incentive to collect trophies, meant that my goal was never to collect everything, but instead just to get to the end of the level. On the design side, Joggernauts is just as much of a mixed bag. 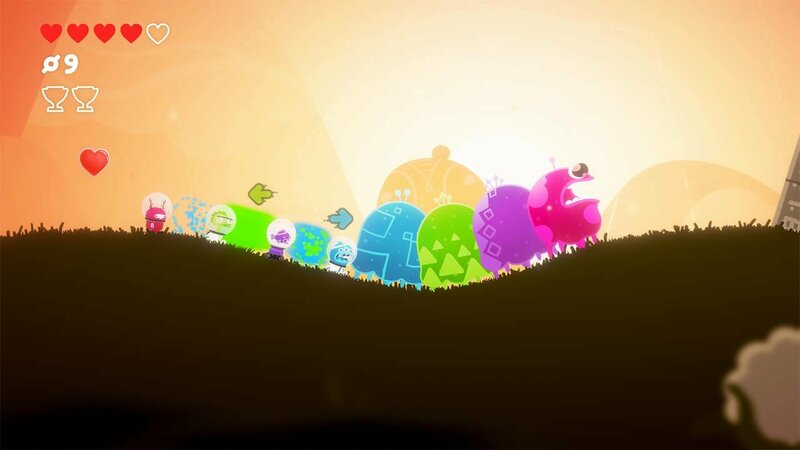 The game is exciting visually, from the cute looking characters to the vibrant colours, and the team definitely figured out how to make a game that looks enticing to play. Unfortunately, that’s where the positives end. The audio variety, or the lack thereof, is truly infuriating when a good catchy tune can make a co-op experience just that more memorable. With clear inspiration from Overcooked and Bit Trip Runner, Joggernauts could seriously be a way better game with a little bit of extra incentive given to the player. I could see myself going back to this title and actually enjoying it more if I was pushed to try new strategies and gain rewards from my failures, something that—as previously mentioned—is just not true with Joggernauts’ current build. For most of us, a co-op game is about having an experience that is fun and exciting to do with the ones we love. It’s about completing a task as a team, and learning each other’s differences. This is especially true in console gaming, where it’s easy to notice a game’s flaws in a matter of seconds. 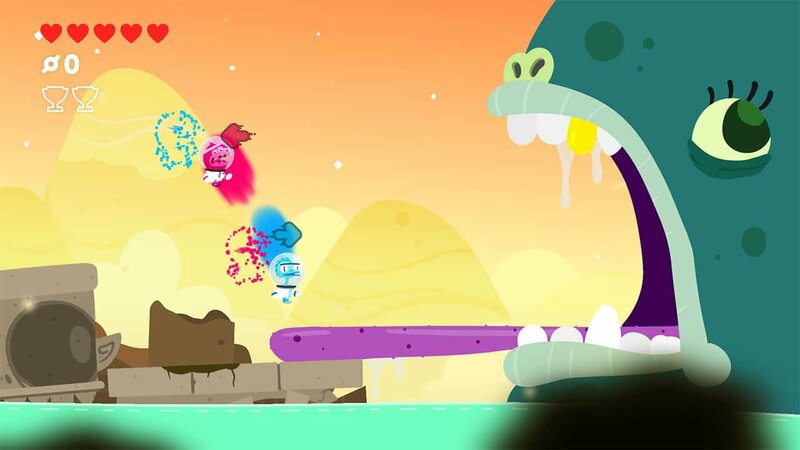 My suggestion for the developers of Joggernauts would be for them to create a mobile port, not only solving some of the game’s control issues, but also allowing players with lower expectations to enjoy a game that—in concept—could truly be a revolutionary co-op experience. Joggernauts is the type of game that wants to be so much more, but severely lacks in a multitude of areas. 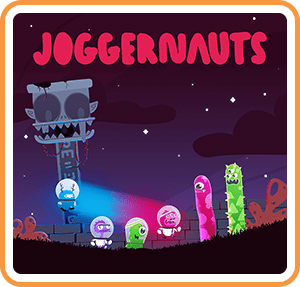 With cumbersome controls, generally uninteresting gameplay, and bland audio, not only are its cute visuals undervalued, but it simply leaves me thinking that a mobile release would be more fitting for a title such as Joggernauts. 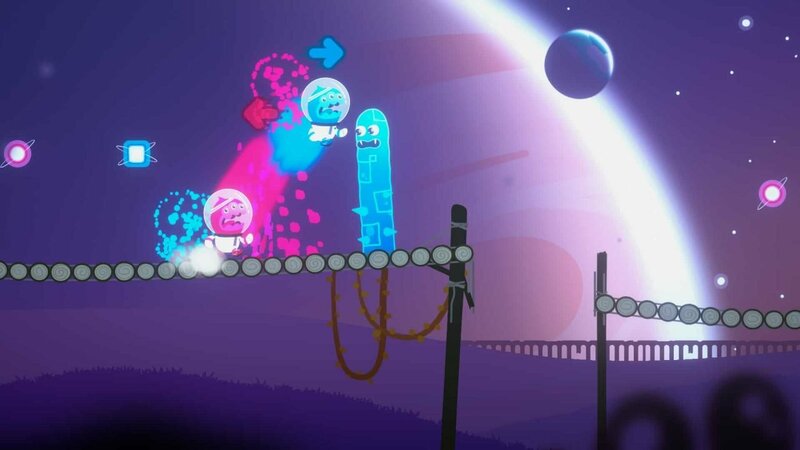 Joggernauts is a stirred mess throughout, and while most of its current issues could be resolved through patches, updates, and perhaps a new platform of choice, it’s current Switch version is simply not there yet.